Wondering why your letter to your Rep. receives no response? Answer: They do not receive their mail. Their job is representing us. How does that work if your Representative cannot receive your mail? Read below to get the facts. 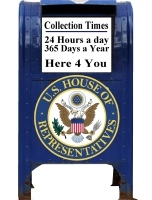 Reconnecting you to your Congressperson. Congresspersons are not reading our mail. 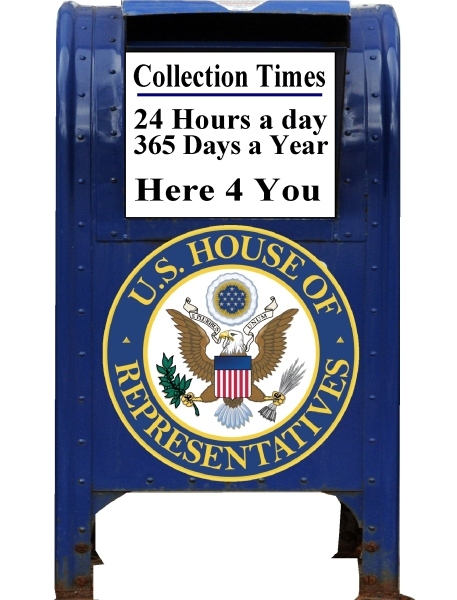 Instead, after 9/11, concerned for their safety, Congresspersons began having our mail stored and summarized in one line, instead of delivered to them. Insulting? Extremely. One problem solved! But problems with our House of Representatives are not recent. Read the short HISTORY and you will see the events and mis-steps started long ago, leading to their ~7% approval rating today. Don't take our word for it, do your own research. Check everything you see here and get ready to participate in Congressional Clearing House, the Interactive TV show!. 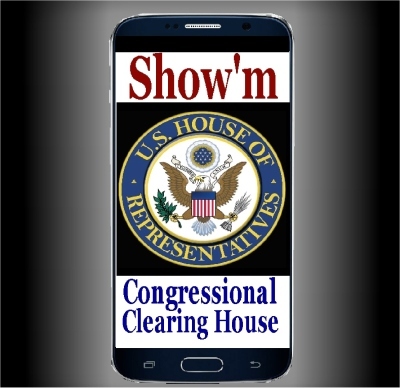 With Congressional Clearing House TV, you will have the opportunity to tell us about your communication - and we will call your Congressperson and give him or her a chance to respond live on the show as you and others weight in, maing suggestions, comments and sharing videos, too. We did mention the show will be live, right? But the shows will be rerun and then you can still weigh in and comment. Congresspersons love attention, you know. 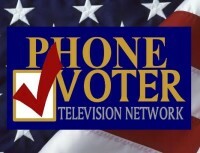 You will be able to communicate with Congress, other constituents, and on issues which impact everyone, through social media, email, phone, message, and our interactive TV Communication system, known as PhoneVoter, the beating heart of the show. 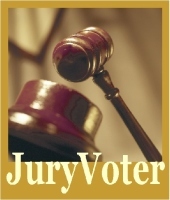 Join with others to discuss problems, tally opinions, and, GASP! - solve them. As constituents, we have the power to change those representing us and Interactive TV can help us 'Clear the House". Most of us have had the ugly experience of electing someone we thought we could trust only to discover our efforts were wasted. Before our eyes, that 'trust-worthy' candidate morphed into yet another problem. Recall is a process too little used. You can change that. Now is the time, also, to identify who would be a replacement you can trust. 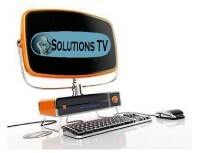 PhoneVoter, Interactive TV communication, is, itself, a solution. But, as we all know, there are more! PhoneVoter technology, which allows everyone to debate, discuss, and collaborate, works. You will feel the power flowing from Washington DC back to you and your community. Think SOLUTIONS that work! Read About PhoneVoter HERE . There is enormous wisdom out there in America. This is the latent power we need to activate. Dialogue & Do. It is up to you! More fun than a barrel of Congresscritters! What sort of solutions will fix the problems now existing in the House of Representatives and make it more accessible to us, their employers? We are issuing engraved invitations to all Reps. to participate. Will the House have solutions to lay before the people? People will certainly demand solutions, starting with the Mail Issue. Come prepared to share ideas for real solutions to the problems we face. Hear from every viewpoint and prepare to prove your ideas work, as promised. Elections are always around the corner, you know. ​ Catch us on Freedom Interactive TV or on your phone or tablet. Sign up to participate in full - and get ready for an interactive world. Congressional Clearing House TV, this site, and our satellite interactive TV show, airing on Freedom Interactive TV Network, will go LIVE in the Fall, 2018.